Are you a fan of the movie Frozen? Do your little ones want to meet Anna and Elsa? You are in luck, at least for a little while longer. This has been one of the most popular meet and greet opportunities in all of the parks, with lines that are extremely long all day. If you want to meet Anna and Elsa, try to do so first thing. Meeting times are scheduled for 11:00 a.m., 12:00 p.m., 1:00 p.m., 2:00 p.m., 3:00 p.m., 4:50 p.m., 5:50 p.m., and 6:50 p.m. Be sure to check a Times Guide or the My Disney Experience app in case things change. Guests may meet the sisters in the Norway Pavilion at World Showcase in Epcot inside Puffin’s Roost at the Prinsesse Plass. I have to believe that Disney World is going to find a permanent home for them. Frozen is the #9 highest grossing animation film at the moment, and will end higher. It’s probably going to win at least one Academy Award. Elsa and Anna are going to be a permanent feature. My only question is how long does Disney wait to induct both of them officially into the Disney princess line-up? We went to meet them in the middle of Dec. While we waited 2 hours, the CM’s were wonderful, even suggesting 1 person wait in line and the other members of the Larry go explore. They also said that people start waiting in line at 9 am for the 11 meet and greet. It makes sense that they’d be permanently homed at Akershus. We went to see them twice. Both times we line up at 9:30 am. It was definitely worth it! We got there by 1130 and people were already waiting 2 hours. Even with a DIS/GAC card, they could not do a thing for us (there’s a reason we have the card for the 6yr old with a few diagnoses & need it for things like this!) They said, “Have 1 parent wait on line at a time”. Oh, really. It was just me & my child. I told them that & they just brushed me off to say “well, they’re new, so we just don’t have a setup for that yet.”. Yeah – just sign your name on the card, please & we all leave happy. So much for the “accommodations”, Disney. Since they are “inside”, you couldn’t even get a glance at them. WOW. They will find a way for their process improvement, I’m sure, since they are Disney. AND, there will always be a “next time”. Actually, you can in fact see them without waiting in line — you exit the M&G through the gift shop, and you can see them very clearly from inside the gift shop. You’re really only about 10-15 feet away from them, and there is nothing obstructing your view at all (at least that was the case when we did it). I hope they stay…we are there every year during the summer….my 12 year old LOVED the movie and read they were there. She was so excited….she will be disappointed. Please let us know if you hear of official further extensions. We are going in late February and my 5 year old will be thrilled if we get the chance to meet them. We just saw them on Wednesday! I agree you can see them through the gift shop window. We waited just over three hours but had a few adults and children so took turns waiting. The ladies were lovely and I do hope Anna and Elsa remain permanent fixtures of Disney. Such a good movie!! We are here today and opted out of the two and a half hour wait because Elsa is not here today. seriously? Lines will die down in a few months. I know this thought doesn’t help if you’re there now. I agree that first thing is probably your best bet. I hope they extend it! My girls love Frozen. We are going to be there on Spring Break and have the Akershus breakfast at 9:20. It’s our first trip to Disney so I could use some advice. Do you all recommend that we leave breakfast (I assume it will be 10:20) and get in line to meet Elsa, then do Maelstrom, and continue clockwise on world showcase or do we back track to Mexico, do the first boat ride there, and then go back to Norway? Thanks! We had the Akershus breakfast at 8:15 and I was first in line at 8:45. The line was formed by 9:00. By 10:20 the line with be several hours long. We hear you can eat an early breakfast at one of the restaurnants, and then you get early entrance to park and you can line up early at 8 ish ? We are not going until September (it will be our second trip) so I really hope they extend it. Our sons and our neighbours daughter (it will be her first time) would be so excited. They all LOVED the movie. I see they have times scheduled now through February 8. We are going the following week and four separate Disney Travel agents all told me Elsa and Anna would be there. After we booked, I tried to add meeting Anna and Elsa to my itinerary and it said “call for availability.” I called and got no further information. I really hope they keep Anna and Elsa there. The Frozen sisters were half the reason we planned on going, and we were told they’d be there!! We stopped by Norway on 2/1/14, The line was over a 3 hr wait. To me a complete waste of time & a loss of revenue for Disney to sit on a line that long. When it’s something as popular as the princesses from Frozen and the wait times are outrageous, they should make it FastPass+ accessible.. But then, doesn’t everyone else just have to wait longer? They started meeting at 9:00 am as of 2/9. I hope that will bring the line down some. We were there on 2/8. We got in line at 9:30. We saw them at 12:30. So technically our wait was 1 1/2 hours. 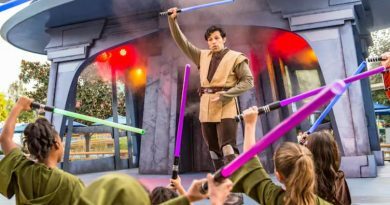 Why don’t they stage a meet and greet at another park or have 2, 3, or 4 pairs of Frozen princesses at staging areas? 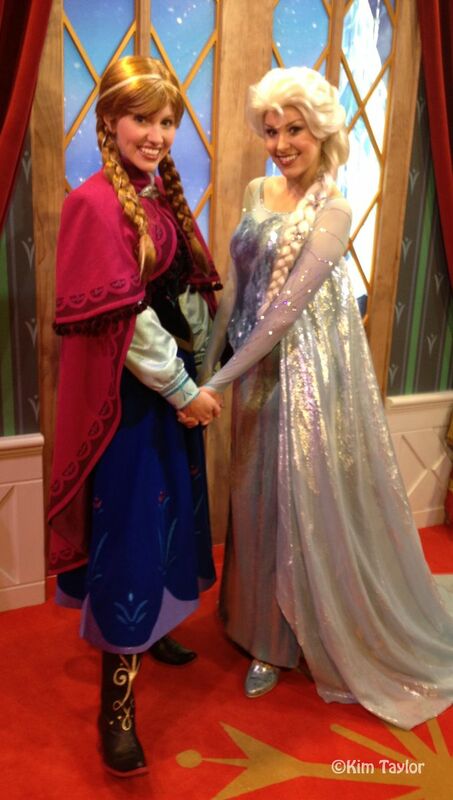 Is it that important to only have one Anna and one Elsa at a time in Epcot? Aren’t there about 50 Mickeys running around? Actually not true. You will only see 1 character (yes, including Mickey) at any single time in the park. For Example, Pocahontas is only in Animal Kingdom and Mulan is only in EPCOT. Elsa and Anna were there Saturday, February 22nd. I strongly recommend getting in line as soon as possible. It was a 4 hour wait. Some parents were switching spots so that one family member could take their kids to see other attractions. Good Luck! Aukershus Royal Banquet Hall is right next door to the line for Anna and Elsa, and you can get 8 am reservations there (if you plan far enough ahead), which allows you in to Epcot early so you can get an early spot in line. There was a 4-hour wait at 10 AM when we went on February 13, but by 4:30 PM the line was down to 2 hours. If you really don’t want to stand in line at all, they had the curtains open in the gift shop by the Maelstrom and you can at least peak at them. Fast Pass for Rapunzel was fabulous after that 2-hour Anna and Elsa line. What’s new with Anna and Elsa?